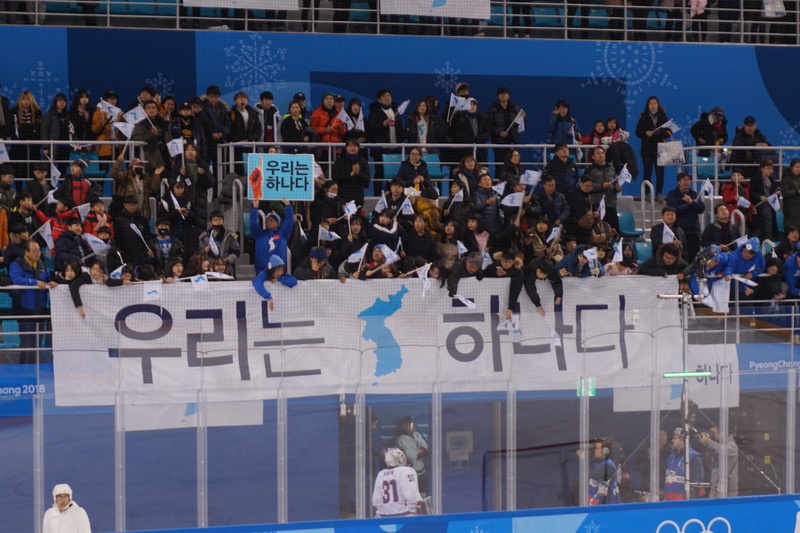 Ever since Pyeongchang won the Olympic bid in 2011, I made it my goal to be one of the thousands of spectators there. 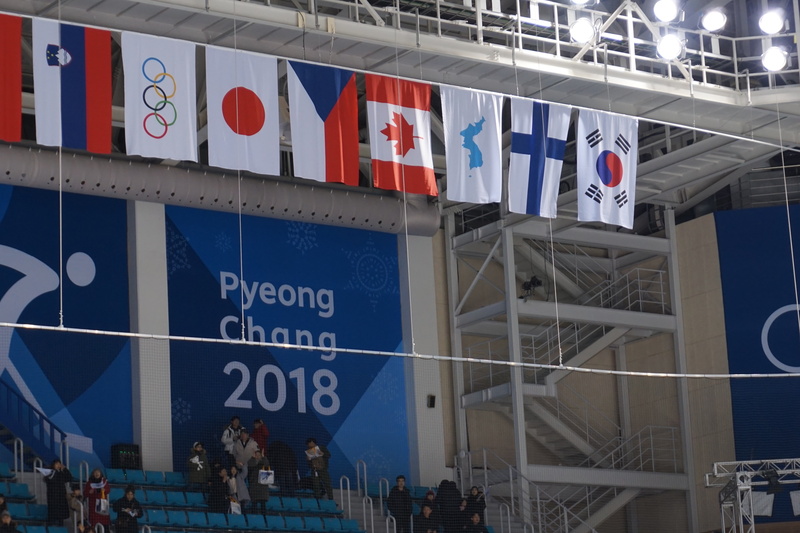 As a Canadian who loves watching winter sports and a passionate Hallyu fan, I knew that this would be a unique and unforgettable experience. 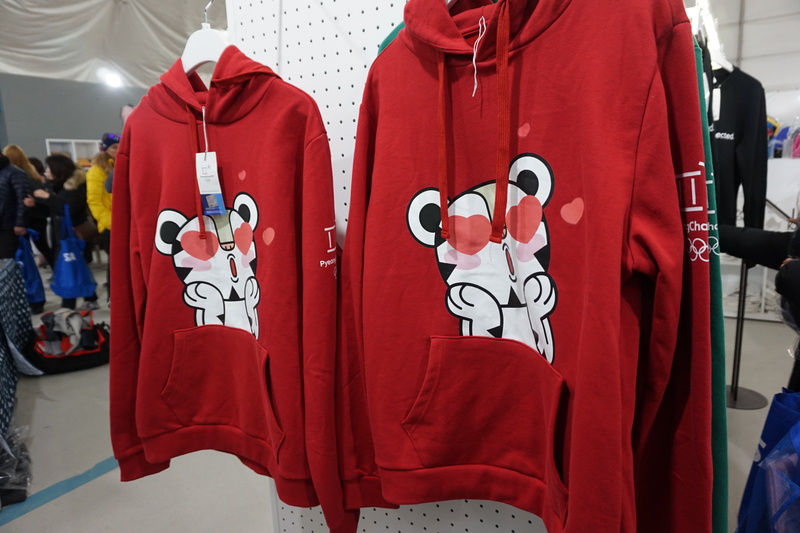 Luckily, the Olympics ended up coinciding with my birthday and my favourite K-Pop group EXO’s concerts in Osaka so I planned a trip to Korea and Japan that would see myself and a friend in Pyeongchang for one day. 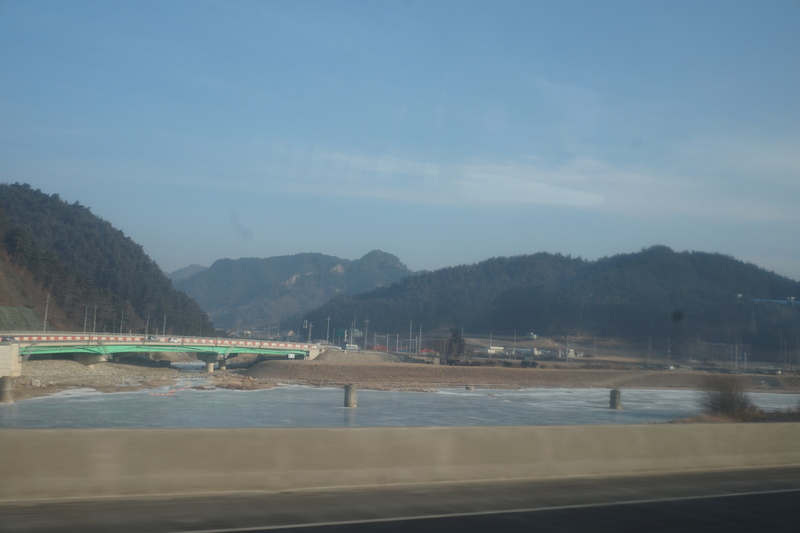 To get to Pyeongchang, we booked a bus from Express Bus Terminal Station to Hyeonggye – the closest intercity bus stop to the Pyeongchang Olympic Plaza. The seats were super cushy and it only took 2 hours and 10 minutes to arrive for the price of approximately $35 CAD — round trip! We got into the Olympic Plaza when it opened at 10 a.m. and began to walk around enjoying various exhibitions and checking out the Supershop as well! 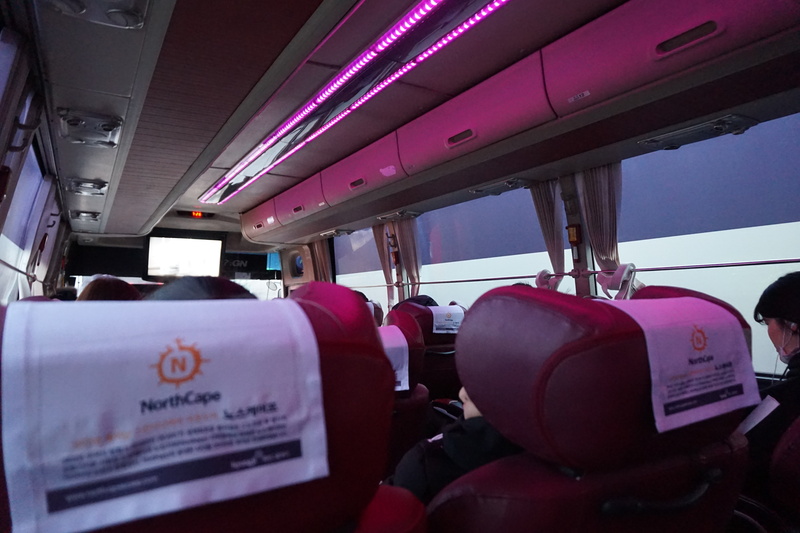 Then, we took the shuttle bus to Kwandong Hockey Centre for our game. 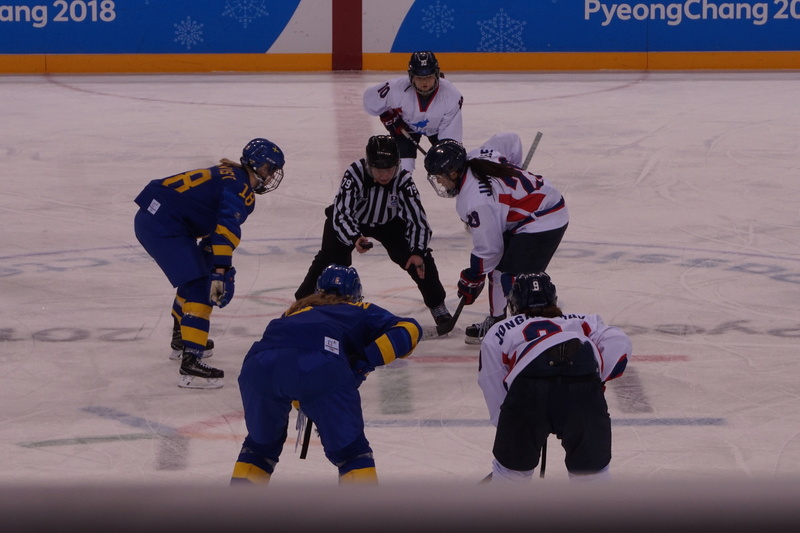 It was the United Korean women’s team’s final hockey game vs. Sweden. 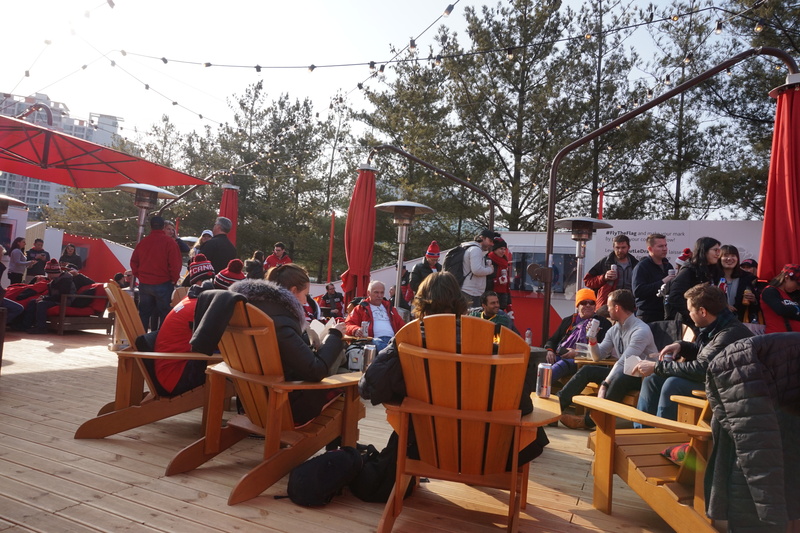 I’ve watched countless hockey games in Canada – from NHL to CHL to college level – but the vibe was certainly different from what I was used to! There were ‘cheer captains’ stationed all around the arena, instructing the crowd when to cheer and what to cheer so that everyone was yelling in time. Some of the cheers included “Have strength” (힘내라) and “You’re doing well” (잘한다) and “We are one” (우리는 하나다). 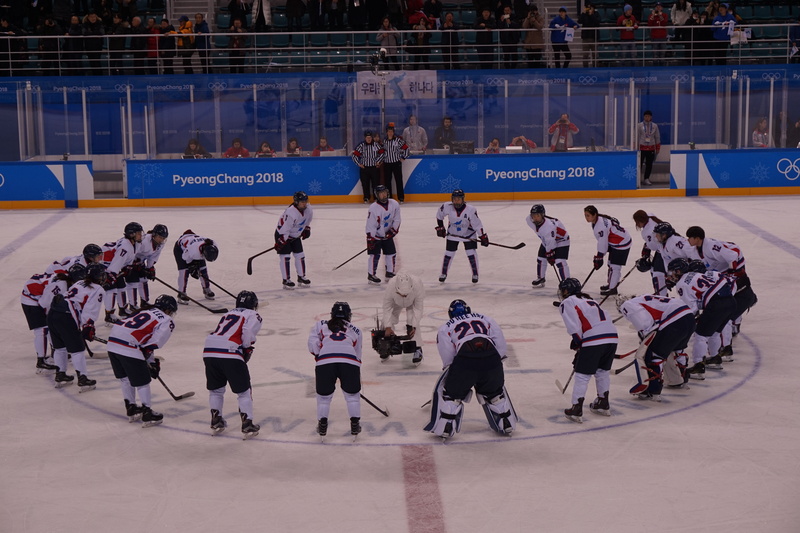 Team Korea ended up losing to Sweden 6-1, and finished off their last game with a bow, a lap around the rink, and a pow-wow in the centre. The bow towards us was definitely something I’ve never seen in a Canadian hockey game before. I assumed it was a thank you to the crowd for cheering them on so hard despite the losses. 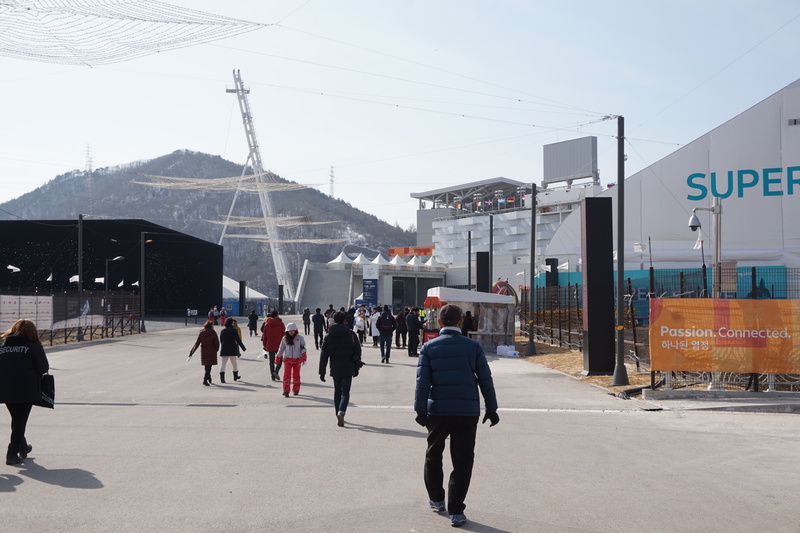 After the game, we took the shuttle bus back to the Gangneung to check out the Canada Olympic House! 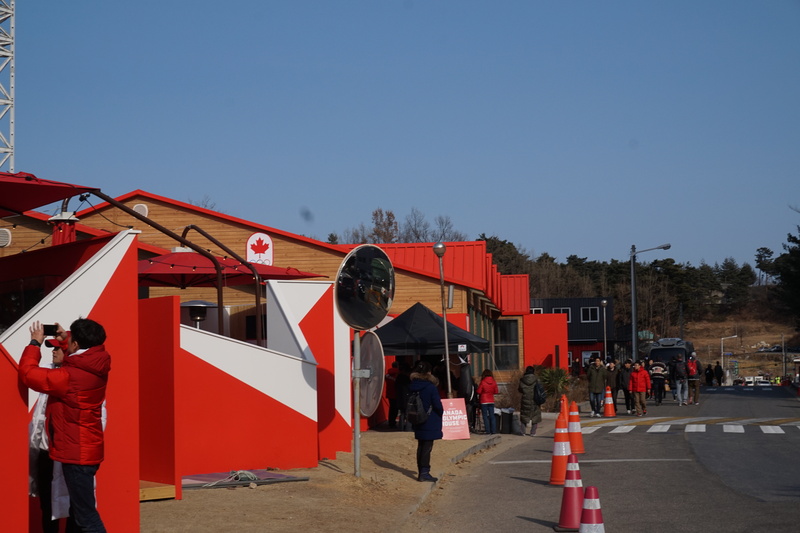 The Canada Olympic House is a home away from home for Canadian Olympians and spectators alike, a little Canadian space on Korean land. 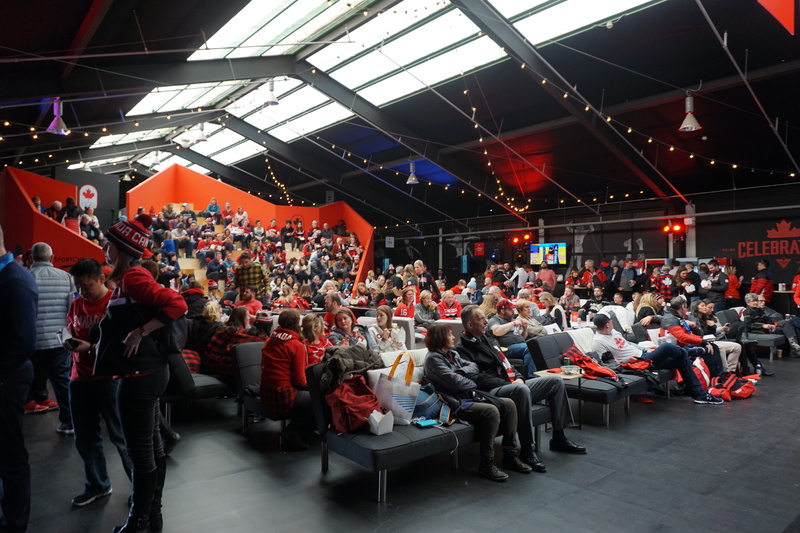 Here you can watch the games, enjoy Canadian treats, and shop for Team Canada merch as well. We were extremely hungry so the first thing we did after loading up our wristbands was to grab a burger and some poutine. While waiting for our food, we bumped in to Olympian figure skater Kaitlyn Weaver. 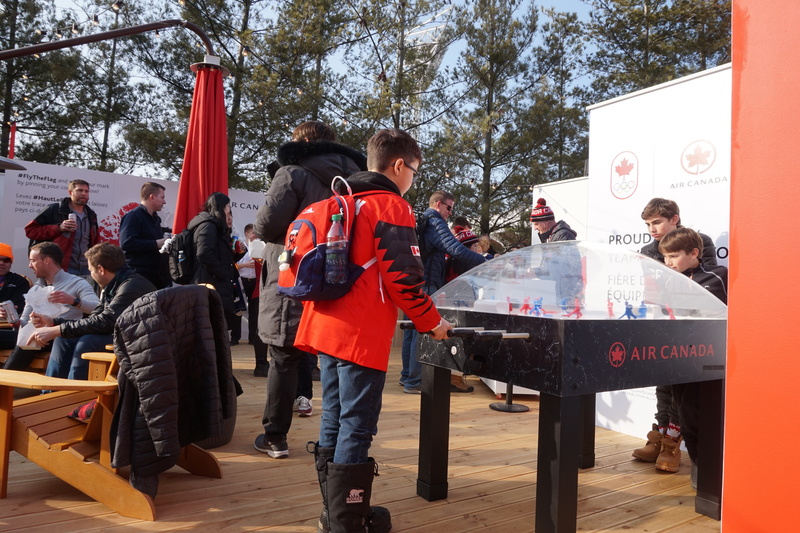 Then we headed outside to the Air Canada Flight Deck where a classic Canadian patio was set up. 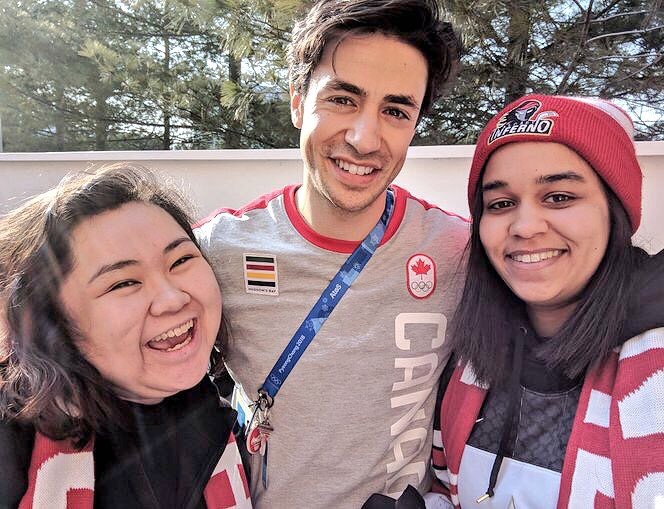 We met Kaitlyn’s other half, Andrew Woje on the way outside. With the sun very low & campfires set up around the deck we ditched our parkas and relaxed on the patio. Felt like I was truly back home in Canada for a moment. After an hour relaxing on the deck, we decided to head over to Gyeongpo Beach to check out the view and take photos with the gorgeous Olympic Rings on the beach, like many Olympians and spectators had done before us. We even brought a Canadian flag for the photos! 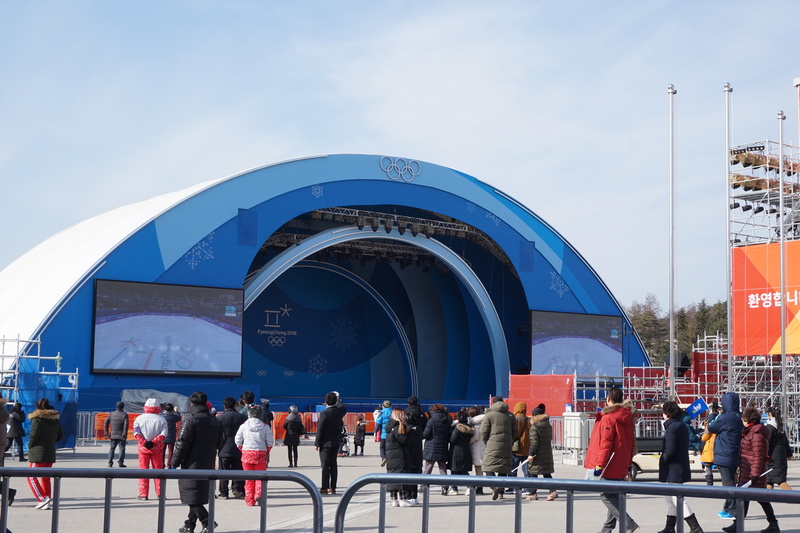 After the beach, we headed back to Pyeongchang for the medals ceremony and headliner show with Red Velvet! 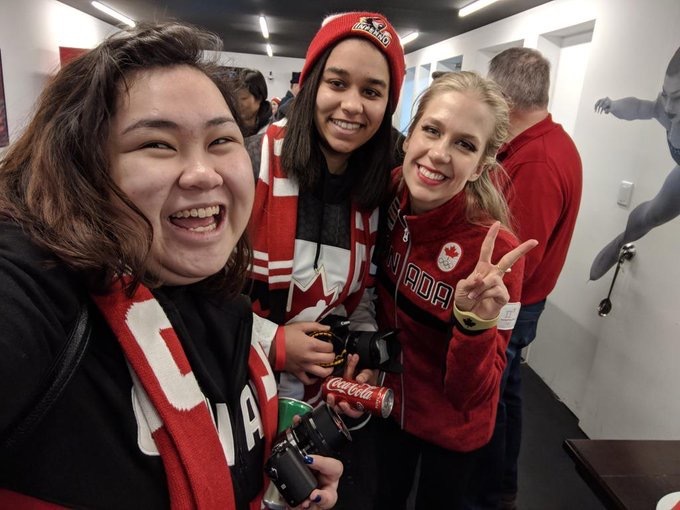 We managed to see Canadian skier Cassie Sharpe receive her gold medal, and watched the Canada flag rise in Pyeongchang with Oh Canada playing in the background. Following the ceremony was the performance by K-pop group, Red Velvet. One of the members, Joy, was away due to filming for a drama but the other four ladies were fantastic. Note that Wendy studied abroad in Ontario for a considerable part of there grade school years! She congratulated all the athletes and thanked the volunteers in English. We then walked back to the bus station where there was a bit of confusion as to which bus we were supposed to take. Note: If you decide to take the Intercity bus from Seoul, make sure you double check that they print your return ticket there. At Seoul, the employee told us we could print our return ticket at Hoenggye but they told us they could not. If it wasn’t for the bus driver understanding my less than stellar Korean, we may have not been able to get home on time. Ah well, that’s the charm of travel – right? All in all, it was a wonderful day. I got to appreciate everything I obsess over – ice hockey, Korean popular culture, and Canadian patios & poutine! I know that most people forget about the Olympics a few days after they end, but I’ll be talking about these games for years to come. 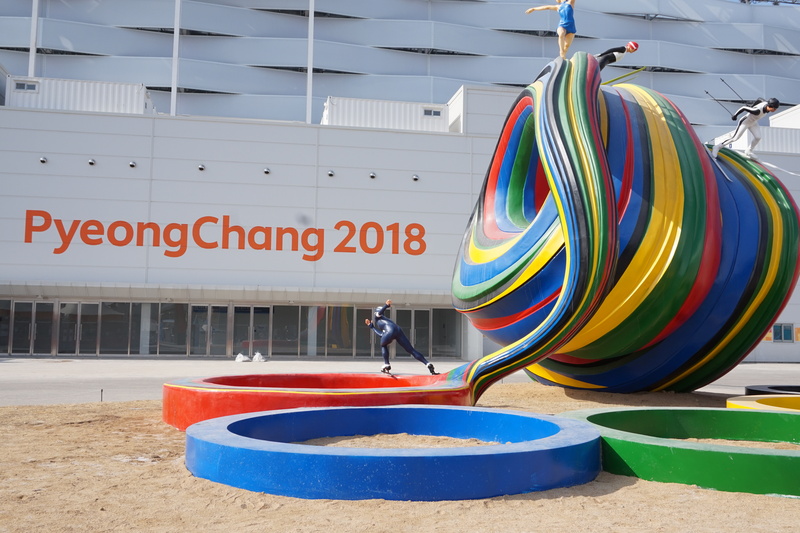 You can watch my vlog about my time at the 2018 Pyeongchang Winter Olympics here! 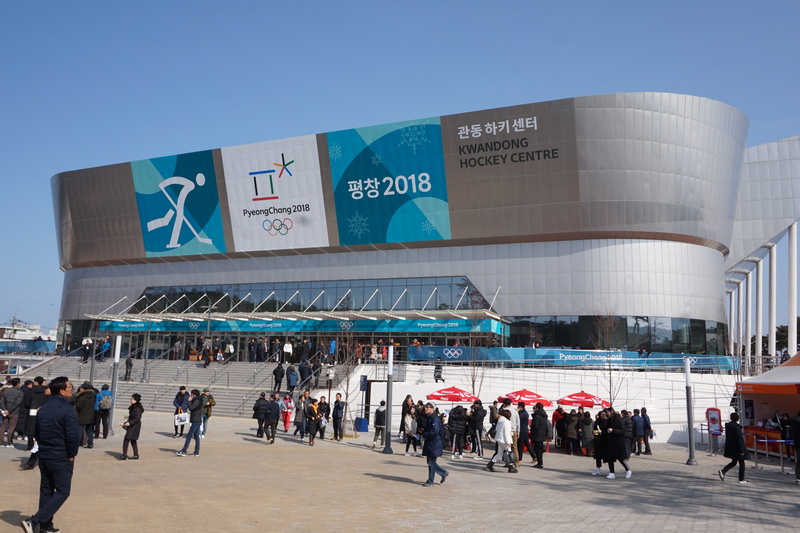 My Road Trip to Pyeongchang Olympics! This is so cool. I am incredibly jealous! Memories to last a lifetime!